Petrol and diesel sales are plummeting as a result of high prices, research from the AA shows. Sales of petrol fell by an incredible 186.5m litres in the first quarter of the year, compared to the same period in 2010. The AA puts the drop down to hard pressed motorists being driven off the road by record pump prices. And things just got worse in the second quarter, with sales crashing by a further 330.7m litres. Although diesel sales were more resilient – dropping by 31.2million litres over the last six months compared to 2010 – the extent of falling sales is brought home by a comparison with pre-recession sales levels. Government figures show that between January and June this year, 1.7bn fewer litres of petrol and diesel were sold compared to the first half of 2008. That equates to £1bn in lost revenue for the treasury. AA President Edmund King said: ‘There is no downplaying the impact of record fuel prices on family’s and other people’s lives. A 1.7bn-litre drop in petrol sales says just one thing – too many car owners cannot afford these record prices and are losing mobility as a consequence. How has the price of fuel affected you? Have you been forced to use your car less, or have you been forced to cut back in other areas to maintain your mobility? 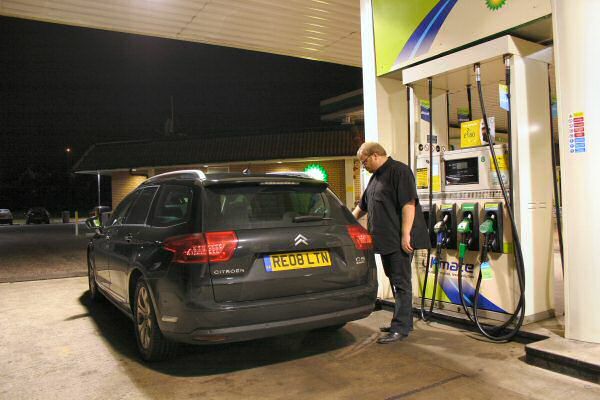 Is it any surprise, when it costs on average £80 to fill up a diesel……I’m spending around £360 a month of fuel, around £200 of it used on commuting, and the rest on business trips. I get paid well, but fuel still eats up around a sixth of my monthly income……. There is of course another big contributing factor here, the ever increasing fuel effeciency of new cars is gradually reducing the amount of fuel we use in the UK. The big drop here is no doubt due mainly to the recession, but the irony here is the less fuel we use the more expensive it we become as the government will seek to maintain a constant revenue from it. Taxation on fuel,fags & drink,carrier bags etc, is nothing to do with saving the planet and all to do with funding the nanny state. Once electric cars reach a critical mass you watch the congestion charge being applied. In my household we have a MG ZT 2.5 and a Fiat Punto 1.2. I find increasingly we use the Punto which can get 50mpg if driven gently. Even the ZT’s computer is showing 36 mpg so we have been driving it very gently. In addition we have cut our mileage by 25% combining journeys and having less pleasure trips. We are keeping our fuel spend to 150 a month at most. Our next super mini will probably be the new Kia Rio 1.1 Diesel at 88 mpg it is the best on the market. MG 3 take note – match that and you will have a sale next year!! Today’s high fuel prices have definitely impacted on my life, as they must have done with every other motorist. Now, on weekends when I don’t have my daughter I aim to leave the car sat on the drive all weekend save for the supermarket trip. Petrol has always been expensive, but when it was around £1.10/litre (still bloody pricey! )I would consider driving for the sake of it – a nice ‘run out’. These days are now all but gone. Also, I never thought I’d see the day when my typical motorway journey would be 70mph punctuated with spells of 60mph in the inside lane. Fair enough, my Rover 75 encourages more leisurely driving but cost is a big factor. There are obvious environmental benefits. However, I still think current petrol & diesel prices are way too high. Also, when opting not to drive people won’t be totally inactive – they will be using at least some energy supply of some kind – the TV will be on etc etc. I haven’t bothered to work it out yet, but the point will come when the extra tax revenue resulting from higher unit prices is off set by the lower levels of demand/consumption. Does everyone know about The FairFuelUK campaign. I signed up sometime ago. They only need around 3000 more signatures before they have a total of 100,000. This will trigger a parliamentary debate on fuel prices. I did mention this campaign on AROline at the time I first became aware of it. However, this was when AROline was being changed to its current form. The cost of fuel has taken the fun out of motoring for us. Round here, the congestion has taken all the fun out of driving; fuel prices are a mixed blessing! It would be interesting to see if anone can actually achieve Kia’s claimed 88mpg on their new Rio. Just a note to add. If we bought West Texas (sweet oil) at $80 odd dollars a barrel that should bring the price down by nearly 20p a litre at the pumps, as it is, we should see another 5or 6p off fuel as the speculators take a breath and sell oil futures as the commodities boom has a lull!! Talking of the 88mpg claimed for the Kia Rio – I assume this is something like ‘at a constant 30mph’ and hardly achievable. Also saw the advert for the Nissan Micra before – they were claiming 68mpg. I thought to myself ‘not such a huge step forward from 1981,82,83’. Metro HLE’s and Renault 5 GTL’s were claiming some pretty impressive figures for the time. It was something like 61 or 62 mpg at a constant 56mph wasn’t it? I have no choice, I’m a wheelchair user, so I need my car. Driven carefully though, my Civic Type-S will do around 58mpg. On a run down to Cornwall from Essex, I drove it at 60-60mph rather than pushing it, and I got 100 miles more out of the tank. I was quite pleased as you can imagine. Sometimes you have to change your outlook when driving, and not race all the time. Why flush all that money away, when you don’t get anywhere any quicker? Petrol sales are down and its the leisure time that’s suffering. Ask anyone that runs a tourist attraction, numbers are down because people simply can’t justify a day out where the fuel costs more than the entry tickets! Last summer I went to Edinburgh on holiday, 1 tank of fuel each way, costing me around £100. I’d struggle to get change out of £140 now. Petrol does not need to cost anywhere near what it does. Anyone claiming they are ‘just getting by’ selling petrol is frankly lying in my opinion. If that was the case then why do so many people own them privately? Interestingly around here (stafford) BP often price cuts to compete with the supermarkets only this morning I spotted it offering fuel at 129.9 versus 130.9 at Asda/Tesco. I don’t think we’ve cut down on the use of the car yet, and I still have to use the van for work, but I do get hacked off with the price always going up and never seeming to come down as much when the price of oil drops, comes down 2p but always seems to go up 5p. Motorist is always seen as a cash cow, need money, screw it out of the motorist. No it’s achieved on the back of a transporter with 1 gallon of fuel in the tank. Well that would be one very efficient car transporter if it could manage 88mpg. Was there a Citroen AX that could get 100mpg? Before small cars got heavy and bigger. My own car, a US made Accord Coupe gets 25mpg. I rarely use it for long journeys other than commuting, shopping and the visits to relatives that have to be made at weekends etc. However, what I lose in petrol costs, it has been terrifically reliable and was cheap to buy, vs. my old 406 HDi which seemed to spend a disproportionate amount of time in the garage getting clutches, bushes, mounts etc. Re the AX. I had one years ago that was a 954i. It did 62mpg. Will M hit the nail on the head! Citreon AX diesel (14DTR?) 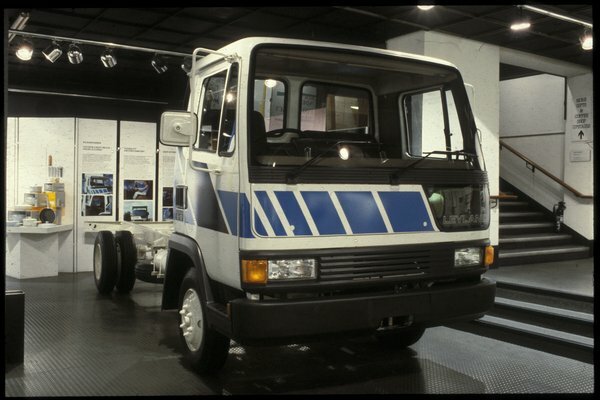 in 1989 achieved something like 95mpg and got into the Guinness World Records. Put that in your pipe and smoke it Mr Toyota! Theres also a cost implication to take into account. My father bought an Ibiza Ecomotive in May 2009, yes it can do 76 mpg but it cost 11k to buy. I had at the time a 25 TD which returned over 50 mpg for a third of the RRP. Even when you factor in that I paid £120 a year VED and his was free you would still have to do around 15k miles a yr for 5 yrs to make the Ibiza worth its while. Plus in the time he has had it, its killed two of those stupid filter things and at £400 a pop to replace its not exactly helping to save money! I have a ZT-T diesel (good) but auto (ouch!). I have been using the train more for weekend journeys, and recently switched to a closer station for my weekday commute, although the train service is less frequent. I have also reduced the number of trips I make to visit my parents. For a year now, I have adapted my driving style to try and keep engine revs below 2,000rpm with the goal of improving economy. This is not always easy, as I have one eye on the revs, one eye on the road ahead and another eye in the rear view mirror watching the tail-gaters (I only have two eyes, and although I’m not cross-eyed, this is tricky). I have to say though that a lot of motorists should take their heavy feet off the accelerator and slow down. They may get home 73.5 seconds more quickly than they would have done had they driven more carefully. This margin might have helped in today’s Japanese GP, but it doesn’t mean a lot at home (5 hours per year). I think they’ve used a lot more fuel (and increased the risk of ulcers and heart disease) in the process. Record unemployment = Record drop in commuting. Surely this is a triumph for government environmental policy (all parties), in their attempt to reduce Britain’s Carbon footprint. Funnily, none of them want to take the credit! My 220di would easily do 60mpg running a summer mix of 1/3 deisel 2/3 veg oil for 180mpg! As for the old misers on here not visiting family and friends no pleasure trips, cancel your Murdoch pension fund (sorry SKY), jack the fags in get out there and LIVE! I’ve been walking to work for months now. I enjoy it – mp3 player on and not a care in the world on a nice 30 minute stroll. As a result I’ve got the monthly fuel bill down to just £40, this is for shopping and getting out and about with the kids etc. This is bound to jump up soon though, I’m on shift work, one week on 4.30am starts, the next midnight finishes. The prospect of getting up at 3.30am and walking in sub zero temperatures, or walking home late at night in the same seems somewhat unappealing. The monthly spend will increase, and since I started walking the previous fuel spend has already been swallowed up I don’t know where the spare fuel money will come from. Can’t afford a new(er) car, mine struggles to 20mpg around town, worse on cold short journeys. I could dig the old push bike out I suppose! And I’m not cancelling sky. My job changed 2 years ago and my mileage dropped about 40%, so I’m contributing to the drop in sales. However, gone are the days when we’d hop in the car at the weekend and just do 100 miles. The only long distance stuff we now do are holidays in Scotland twice a year. I’ve learned to look for rail deals for weekend trips. The other outcome of this lowering of fuel use (whatever has caused it) is that if we’re using less fule, we’re driving less miles and we start questioning whether we should change cars so regularly. I normally swap at 3 years, but when that comes next March, I’ll only have done about 27,000 miles -in a diesel Volvo. I question whehter it’s worth bothering. The increasing cost of fuel is a burden for many. I do wonder though how much is down to increasing efficiency or people just doing less pointless journeys? What I have noticed more than anything is that increasingly people are dawdling at 60-65 in the middle lane when they could have pulled over. Save fuel if you wish but please don’t block up our roads. I’ve recently bought a new car and it’s got a fuel computer in it which I have never had before. I have to say it’s quite compulsive watching the consumption. I was particularly annoyed yesterday as driving back from Durham into the wind hammered my consumption! Many of the new buses at work have computers now, a novelty for me as I’ve never owned a car with one. It is a skill I’ve almost mastered that on some runs I can get a Scania decker to average 8mpg. Running late of course. My normal drive is a Honda FRV 2.2 ctdi that gets 48mpg generally and up to 52 driven gently. My second car is a Discovery TD5 auto that does 26-28 mpg but is invaluable for load lugging. Currently a tank full for the Disco costs £120 (90 litre tank). I am now only using it strictly when I have to although I love the old beast. As I drive ~20,000 miles per year, over half of that on business I am looking at downsizing the FRV to something that does over 70mpg next year. Unfortunately, I have no option other than travel by car in my job as a consultant engineer. Not living in the UK, but in Holland we know all about high fuel prices. For that reason I converted my 2004 Streetwise to LPG Gas, this saves me upto €230,= a month on fuel. The only downside is the sparewheel in my boot( small type emergency use only) and not beeing able to travel to the UK via Chunnel, buy I like the Ferry better anyways so I don’t care. However I don’t drive my oldtimers as much as I used to, far to cheap to use the LPG Rover. In order to save fuel, I have even thought vaguely of trading the 75 for a 45 or 25. However, I reckon this could easily prove to be a big mistake. I’d be swapping the known for the unknown – I’ve had the 75 for over a year now and save the head gasket problems it has been totally reliable. Also, with the 75 I have a car which will remain desirable for years to come and which I’ll be happy to keep – It may be a bit more costly on fuel but look at what I’ll be saving on buying (and most likely fixing) an alternative car. Also, I work on the assumption that in the long term the 75 will hardly depreciate (possibly even appreciate). The 75 encourages leisurely driving so a smaller car which I will likely thrash will possibly offer no gain mpg wise. So, in a nutshell, my apparently excessive car is the right financial option. I live in the US and gas prices have caused me to purchase the most fuel efficient car I could afford. It’s a 993cc 3 cylinder/ 5 speed Geo Metro (Suzuki Swift/Cultus). I do delivery work and as such drive around 2600-3000 miles per month. With the 4 cylinder Nissan pickup I used to drive I would struggle to see 22 mpg. With the Suzuki I see 40-50 mpg (US gallons, or roughly 48-60 mpg Imperial). This is all city driving and the car can get 60 mpg (US) on the highway if the speed is kept reasonable. Sadly though, gas prices have pretty much priced me out of the traditional end of the hobby now and I will soon be getting rid of all my special interest cars. The economy is such that I now need to concentrate on survival and put the fun on hold for a (hopefully) better day to come. Maybe the proposal by HMG to raise the UK motorway speed limit to 80mph is a cynical way of encouraging us to use more fuel? I really should have gone for an XJ12 years ago. 10-15mpg from two 15-gallon tanks would have been hefty then but now it’d be unthinkable…! Does is? Petrol is now, on a good day, 130.9p/litre. In 2008, it was about 104.9p/litre. That’s 25% increase, so VAT revenue will be greater than that (as it’s gone from 17.5% to 20%). The article, however, doesn’t quote the % sales drop in fuel or the sales in 2008 vs 2011, so we can’t calculate how much the price increase offsets the sales reduction. In 2008, I could walk to work when I was in Austria. Now, in the UK, I work away and get through about £110 a week ! !